Age is Just a Stage! Break the rules, be stupid, be playful, look at the world with a fresh eye unclouded by routine and Facebook! 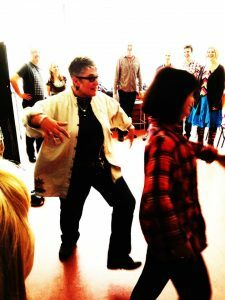 Light or reignite your creative spark in this course for the older generation who still feel young. No experience is necessary, you just have to step through the door – once you’re in, the spirit of the theatre will energise you and you’ll remember what fun there is when like minds meet. Chris Cresswell has worked in theatre, performance and teaching for over 20 years; in this series of workshops he will create a safe space where you can enjoy some precious time outside of the norm and experience the joy of just letting go!